Give yourself a convenient and restorative space to get ready for your day with this vanity desk and stool. The piece is constructed from poplar wood, Asian hardwood and select woods in a metallic mercury finish that exudes contemporary glam. 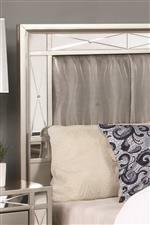 Furthermore, real etched mirror panels bordering the drawer fronts reinforce this show-stopping look. As storage goes, you receive a total of seven spacious drawers for all of your bedroom and morning prep necessities. 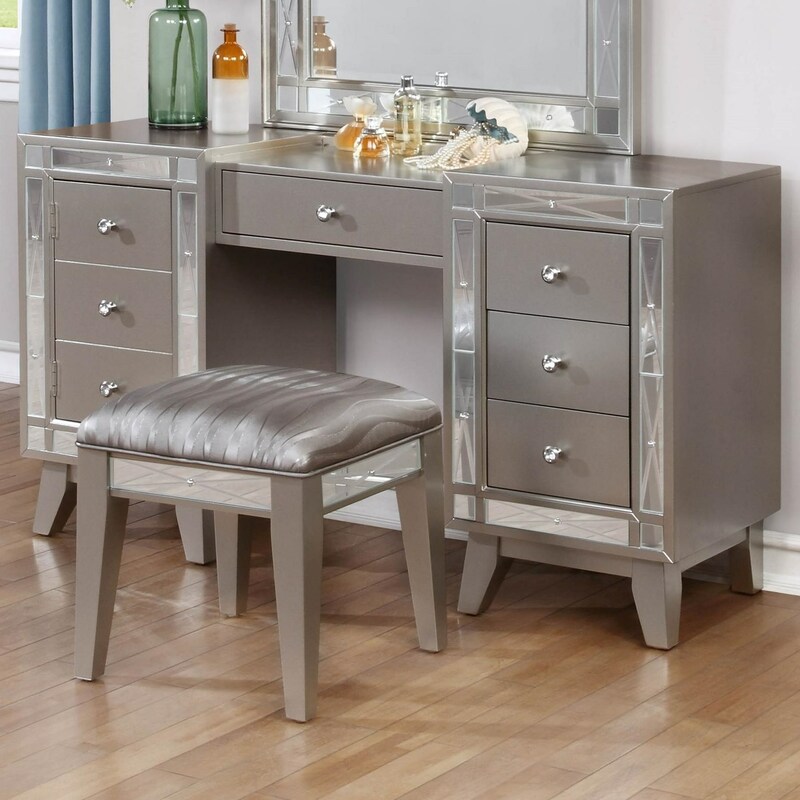 The Leighton Vanity Desk & Stool by Rooms Collection Two at Rooms Furniture in the Houston, Sugar Land, Katy, Missouri City, Texas area. Product availability may vary. Contact us for the most current availability on this product.